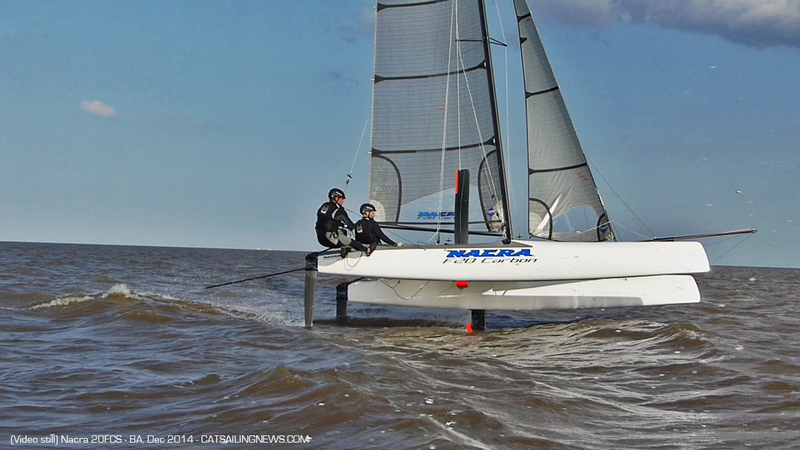 The Nacra 20FCS it is a MASSIVE BEAST & piece of equipment. 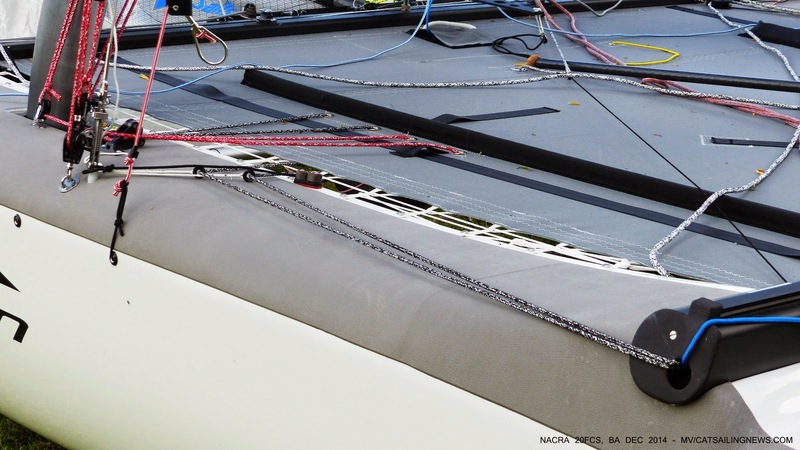 This is really a triple handed foiler, you can easily add a third pair of traps in this boat. 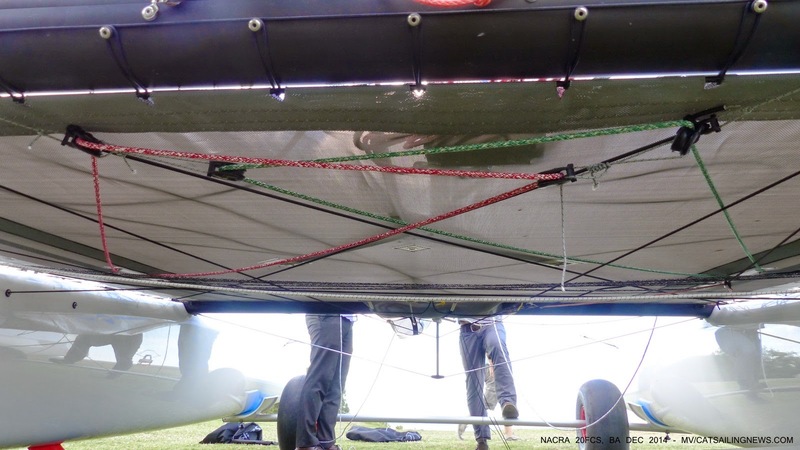 In fact they foil with a third crew no problem. The guys went for a late yesterday with a building north and rather good chop. Following them with a full powered 4 stroke 115HP 6.7mt rib was no easy task. In fact it was way tougher to shoot than the conditions at Carnac as the short chop is quite steep and annoying... for us in the rib, as the 20 was speeding +24 knots airborne. I Couldn´t get much material on the conditions, only some good vid stills , and maybe some video secs to recover. 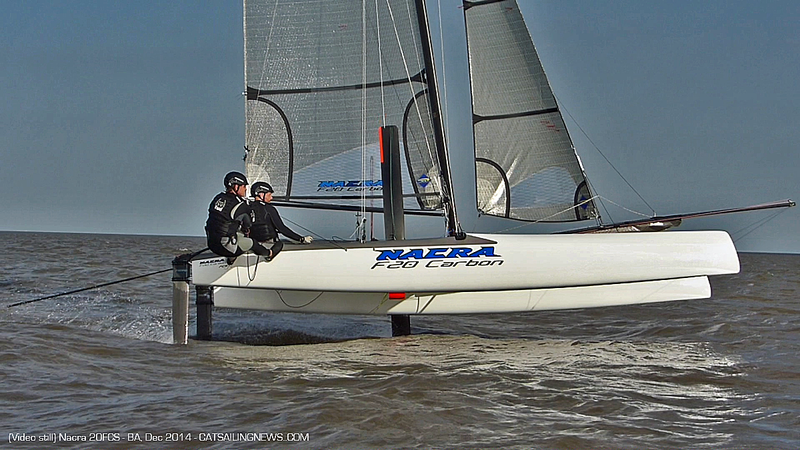 But worth to see how the Nacra sails live. 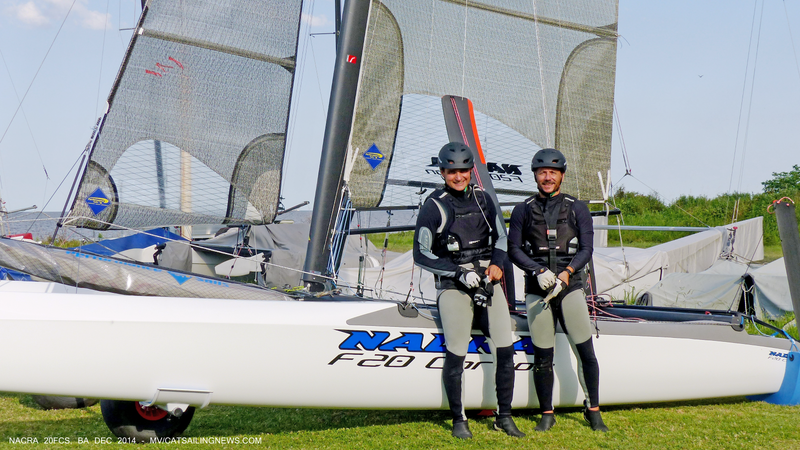 Mariano & Juan are two experienced top F18 local riders light crews in their second session. 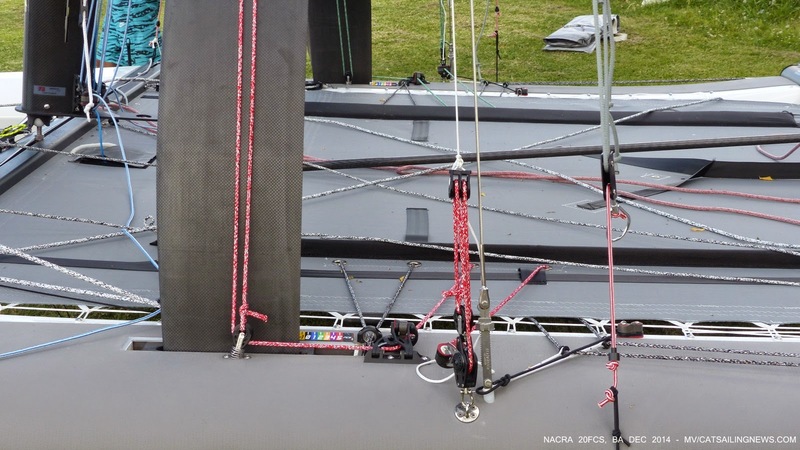 I already had Nico Aragones feedback earlier from the first ride on how tough is crewing this boat, on the loads and on the foil pullup/down work out. And it showed when the one crewing (they swapped) got tired after some rides. 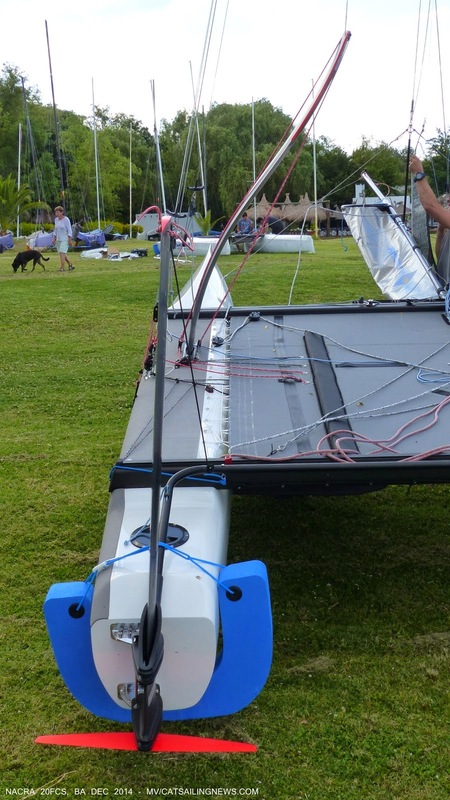 Of course you have the adrenaline of a new boat, a decent but smooth wind blow and chop, but we could see you need strenght to handle this beast. More hours will provide easier rides, but this weapon is not for weak sailors. 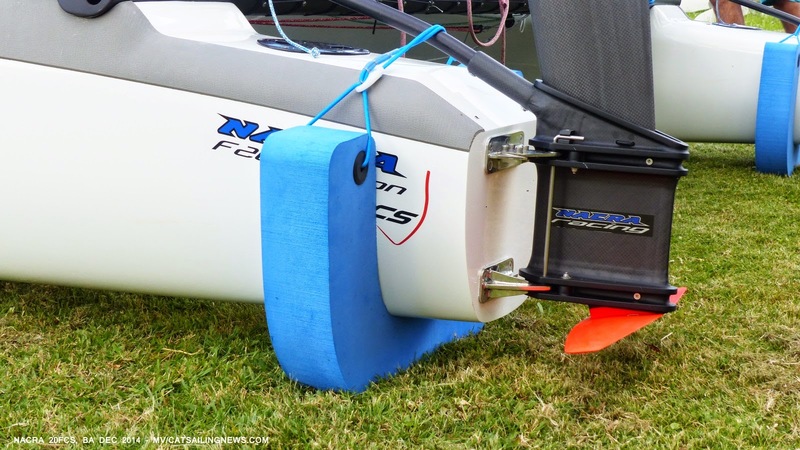 The Nacra handle the chop quite well maintaining leveled ride, the crew was somehow too backwards to get a more leveled ride , and additional trim is needed with more sessions. 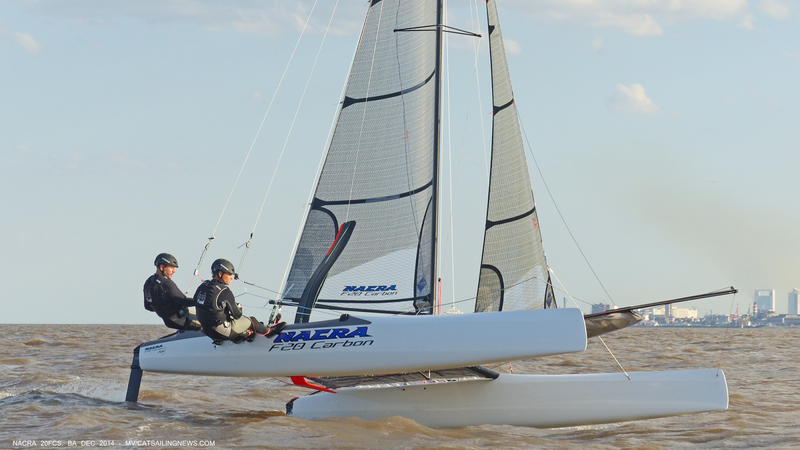 Speed & power are unreliable seen and followed from the rib, I didn´t sailed it as i still have to level my own brains from past week. Compared to the FP the word again is massive. The boat is rather heavy for our steep ramp too. On the flight stability , is hard to compare with the rides Nathan-Peyron and even I had at Carnac. Mines with Nathan were in flat perfect 8-9knots, and the rough long distance rides in good wind a waves were done by experienced flyers like Gurvan & Ben. We will try to shoot on a good flat day to have a better comp, but it shows the 20 will have a smooth ride. Live 1 to 1 comp when the FP arrives in some weeks. 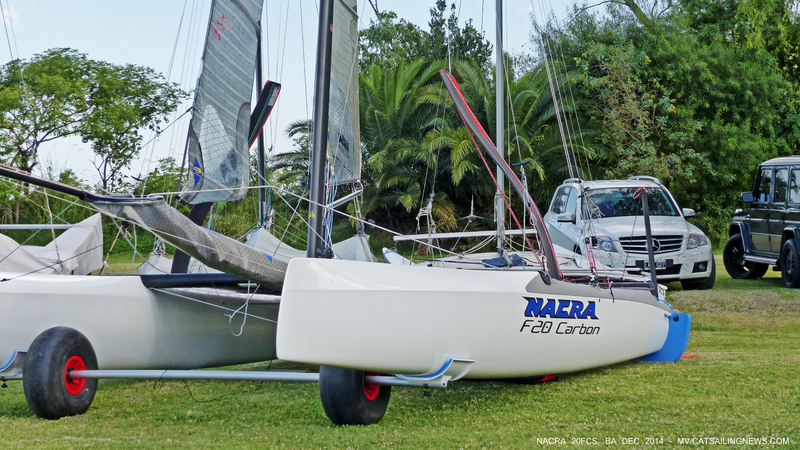 Quality is there as reported this week, with Nacra raising finally their bar, in fact we are all surprised with the quality of this boat. 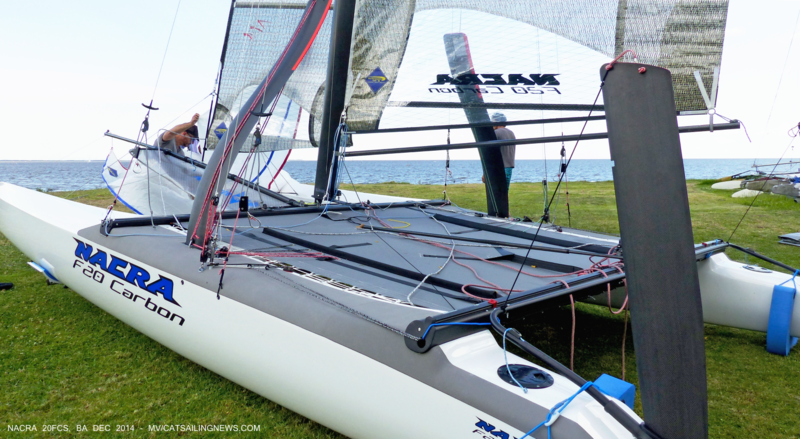 Pros & Looks & Sailing: MASSIVE WEAPON. - I know Peter & Gunnar will listen at the end: Add a full carbon snuffer and change casting arms and rubber connectors. - You'd better work out to take full advantage of this machine. 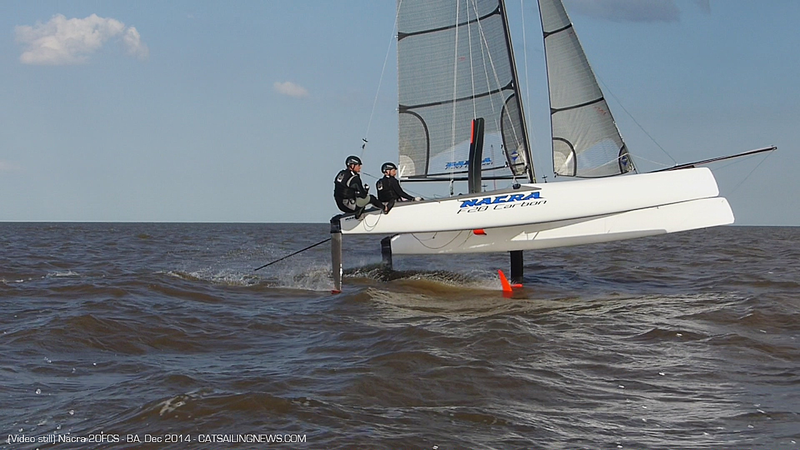 More sailing next days if possible, and trying to recover some video too from yesterday. Thanks to my good friend Esteban Daneri & Javi Poclava for the logistics.